Couple weeks ago I was invited to attend the grand opening of some cafe/bar around Panglima Polim, Coffeebeerian. From it's name, I think it's not very hard to guess what they're offer. Yes, It's coffee and beer. Coffee and Beer mixed together? Yes, These two things makes me curious enough to go all the way from north Jakarta to Panglima Polim on the weekdays :p Arriving around 8.30pm, I met my buddy Wanderbites , and he's the one who introduced me the background of this place. haha... Where's the owner? No idea. It all begins from 4 diving buddies who had their passion in coffee and beer, and then decided to mixed it together and opening a space. 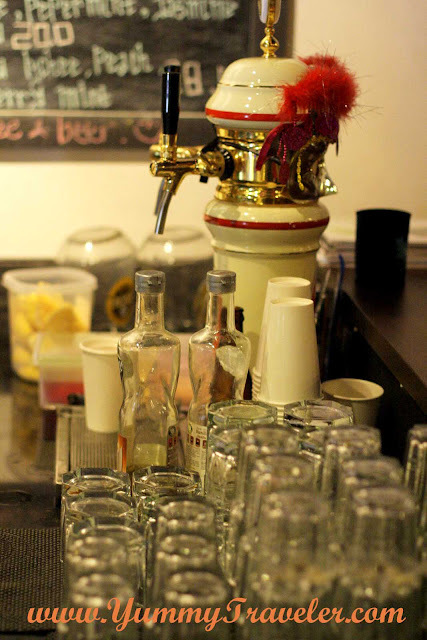 Not only serving Vietnamese dripping pot style or house blend coffees, they also serves many kind of beers like Indian Pale Ale, Duvel, Russian Stout, Cider and Wheat Beer. So that night, we able to taste two of their signatures drink. The first one is Black Pony - IDR 45.000,-. 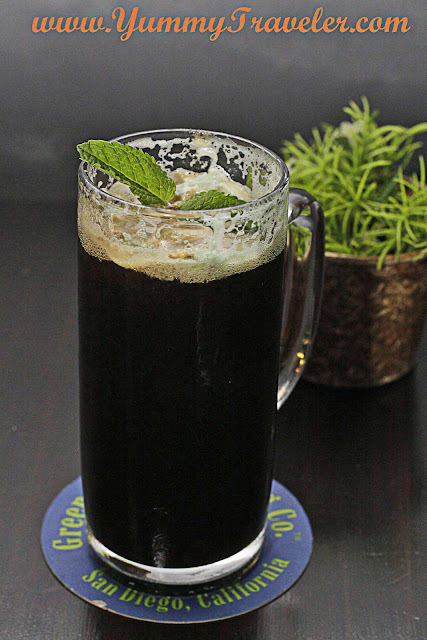 This drink is a mixed of espresso, stout & pilsener beer, and mint.I found the the stout beer taste quite strong. Dark, malty, bitter, with a strong mint taste. The second one is Cobe Brown - IDR 45.000. This one is mixed of espresso, pilsener &stout beer, almond, vanilla and lemon. Very light, you can still taste the coffee but it's quite mild. 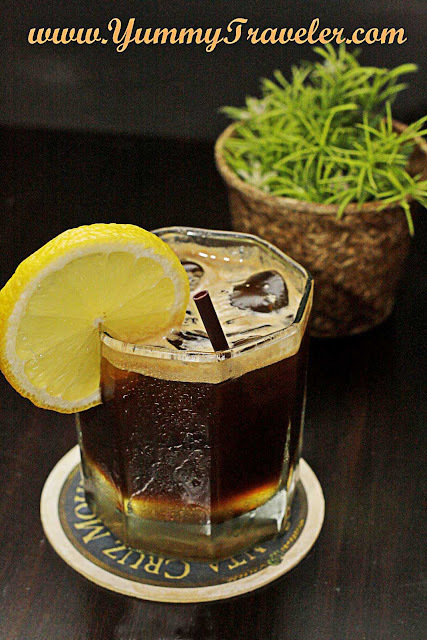 There's still a slight bitter taste from the stout beer, but the lemon taste make this drink very refreshing! Overall I had good experience tasting this creation. I would love to come again to this place to try some of their coffees.